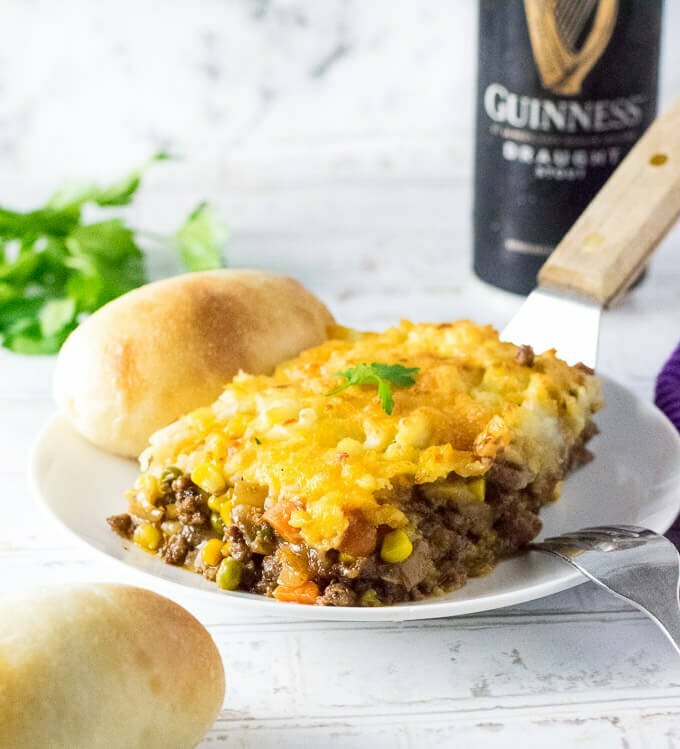 Guinness Shepherd’s Pie is richly flavored and loaded with ground meat, peas, carrots, onions, and corn under a decadent layer of cheddar mashed potatoes. Shepherd’s pie is the O.G. of casseroles – a hearty family meal served with your entree, side dish, and vegetable loaded in each flavorful forkful. However, you don’t have to be Irish to enjoy this modern twist on a classic, you just need good taste! 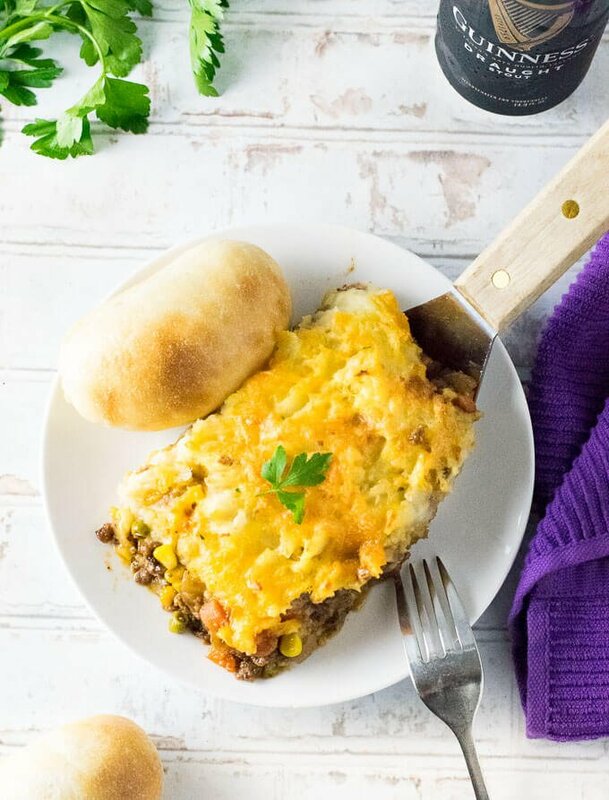 Traditionally, shepherd’s pie is a popular Irish meal featuring ground lamb and chopped vegetables in a flavorful gravy baked with mash potatoes loaded on top. This dish features simple ingredients that were easily accessible to the poor. The exact year of creation is not known, but it is said to be around 1800. Shepherd’s pie and cottage pie are essentially the same dishes. The only difference is shepherd’s pie refers to the dish being made with lamb, cottage pie refers to the dish being made with beef. My Guinness shepherd’s pie recipe can be successfully made with either lamb or beef. 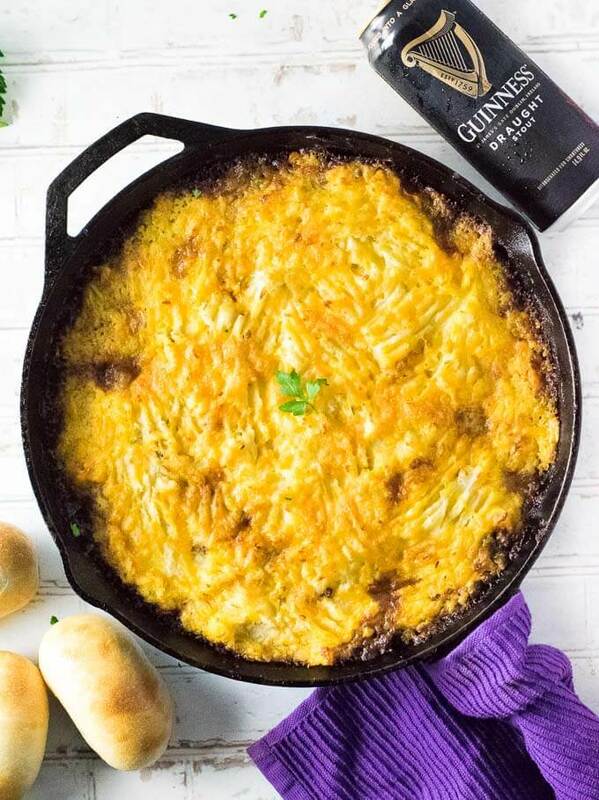 I was inspired to create this Guinness Shepard’s Pie when testing my Guinness Beef Stew recipe. 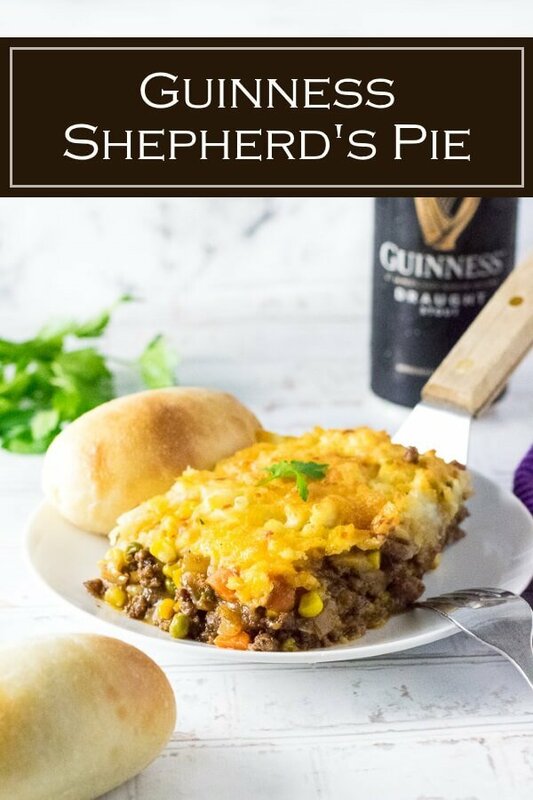 I have always been a fan of shepherd’s pie, and I felt the addition of Guinness beer really added a lot of flavor to the gravy. My recipe calls for 1 cup of Guinness and 1 cup of beef broth, but if you really want a pronounced Guinness flavor you can add an entire can (1 can equals 1 1/2 cups) and reduce the beef broth to 1/2 cup instead. 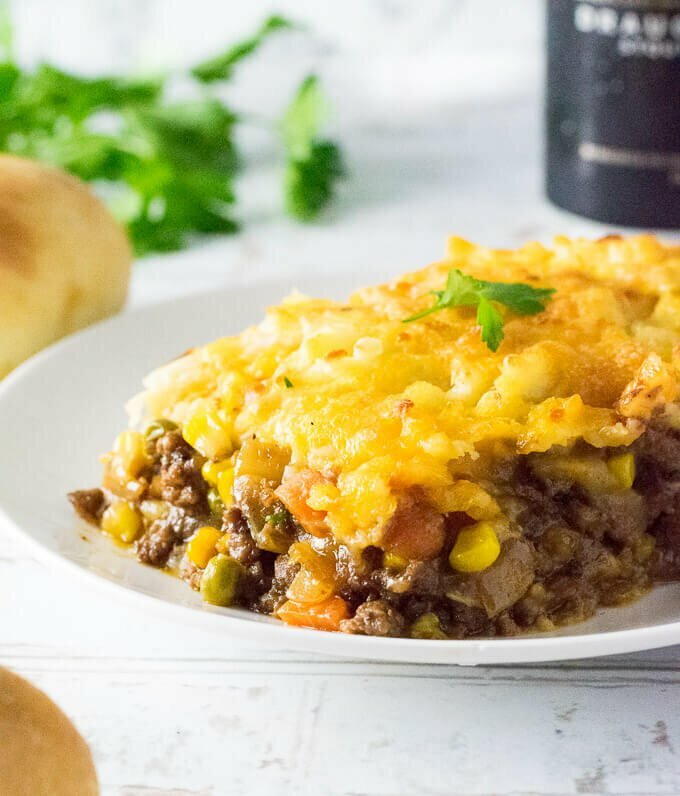 If you prefer a more traditional shepherd’s pie or if your family doesn’t enjoy the flavor of beer, this recipe can easily be modified. Simply eliminate the Guinness beer and add more beef broth in equal quantities. Mashed potatoes are an essential component of any shepherd’s pie recipe. This recipe contains very simple mashed potato instructions and amps them up by blending them with sharp Cheddar cheese. 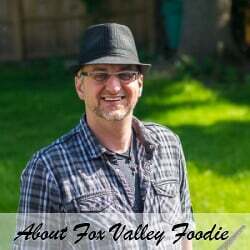 However, if you are willing to put in a little more effort check out my ultimate guide to creating fluffy mashed potatoes. These would taste phenomenal on top of my Guinness shepherd’s pie! 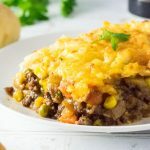 Guinness Shepherd’s Pie is richly flavored and loaded with ground beef, peas, carrots, onions, and corn under a decadent layer of cheddar mashed potatoes. Add ground beef to a large, 12″ skillet, and cook until browned. Remove beef from skillet and set aside. Place onion and carrots in the beef drippings (adding butter or oil if needed) and saute until onion and carrots are tender. Add minced garlic and cook for an additional 2 minutes. Return beef to the skillet, add tomato paste and stir to incorporate, then sprinkle in flours and stir further. Pour in beer and scrape the bottom of the skillet to loosen any burnt on bits of food. Add all remaining ingredients to the skillet at this time and let simmer for 10-15 minutes, or until liquid has reduced into a gravy. Evenly spread mashed potatoes over the shepherd’s pie mixture, top with 1/4 cup of cheese, and place in the oven for 20 minutes, or until potatoes begin to brown. Peel potatoes and cut into 1″ cubes. Place in salted boiling water and simmer for 15 minutes, or until completely tender. Drain potatoes from water and combine with milk, butter, and 1/4 cup of cheese. Add salt and pepper to taste and mash to break apart any chunks. IF YOU LIKED THIS RECIPE you will also love my Slow Cooker Beef Short Ribs!